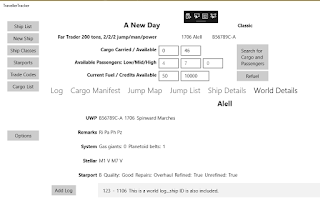 I've updated the world info a bit - and you can now add logs. 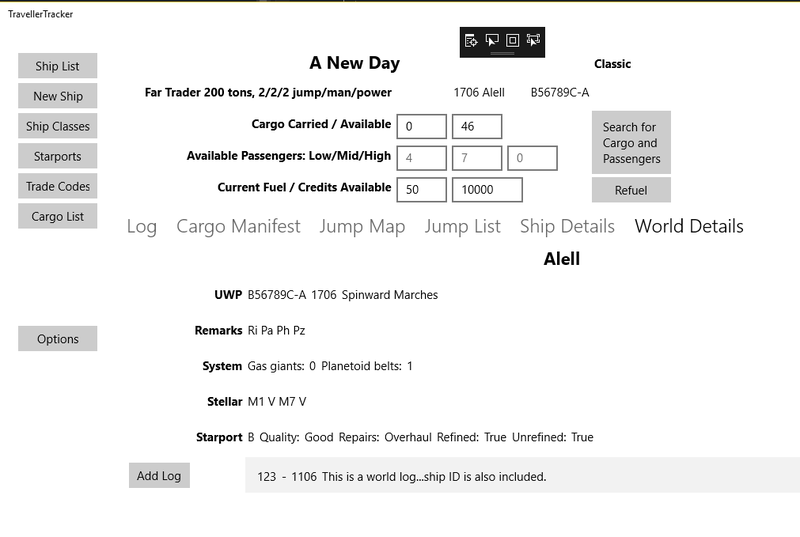 I think if the world is part of that I need to figure out if I want to include the world info on the ship log as well. I may have to add some more info about if this is a general note or a ship specific one or something. I've also updated the refuel process to use the port's fuel. And then realized I've not added a way for you to add a new port or delete a port. Maybe tomorrow I'll have time to figure out the image thing. Or not - we're off to see the Russian Ballet. A little bit of real world culture.